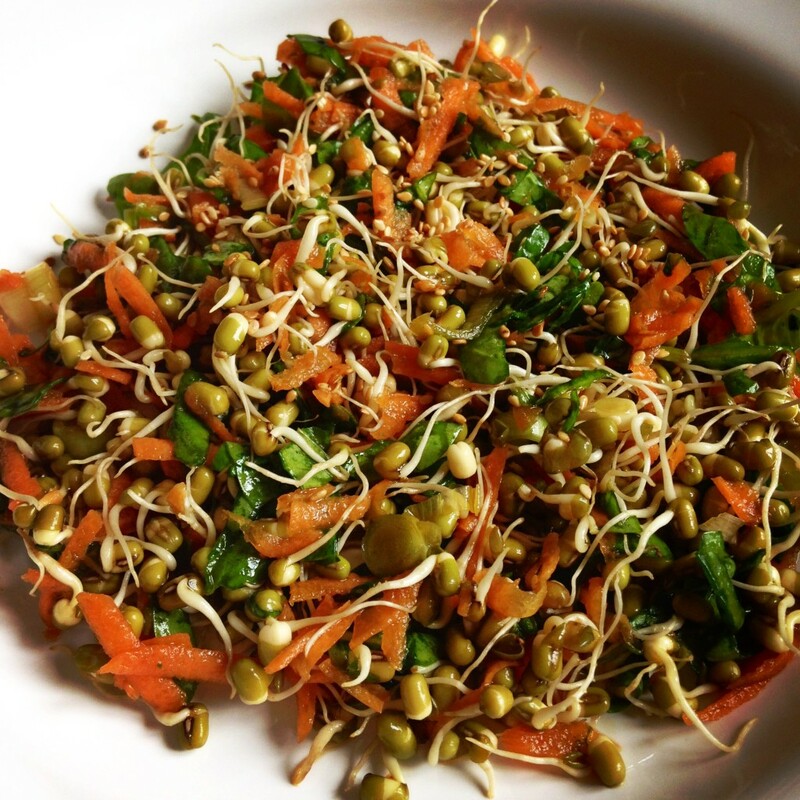 Pre-sprouted green mung beans were my chosen base for the salad along with carrots and spinach. I could have used soy sauce in my dressing but went with the gluten-free, thicker and less salty tamari sauce on this occasion. The sprouted mung beans are here for their known health benefits but honestly, feel free to put whatever you want here. 1. Chop up spinach & spring onions, grate the carrot and place into a mixing bowl. 2. Prepare salad dressing in a smaller bowl and set aside. 3. Toss all the ingredients together. 4. Refrigerate for 30 minutes before serving chilled.